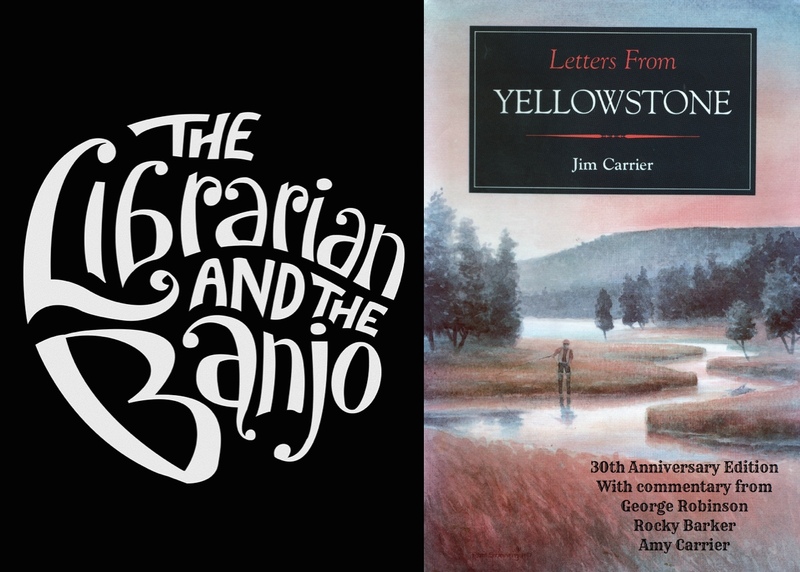 Watch a terrific film about the banjo’s roots — or read a copy of Jim Carrier’s first book – updated with new forward, afterward and epilogue. The Librarian and The Banjo tells the story of music librarian Dena Epstein who uncovered the banjo’s African roots. The $20 DVD contains a one hour documentary with four “sidebars” on minstrel music, gourd banjos, the banjo in African American musical circles, and other stories of the banjo’s re-discovery. Starring Dena Epstein, with the Carolina Chocolate Drops, Bela Fleck, Eric Weissberg, and Tony Trischka. Available for immediate shipping. For further details, and to order a copy using Paypal, click here: www.jimcarrier.com/librarian. Letters from Yellowstone – 30th Anniversary Edition – When Jim Carrier, the Denver Post’s “Rocky Mountain Ranger,” traveled to Yellowstone National Park in 1986 to begin a series of seventy dispatches about the park’s human and natural history, he admitted he knew almost nothing about Yellowstone. Seven months later, after countless interviews, miles hiked, driven and paddled, time often shared with his daughter, Amy, he came home transformed. Described as a “minor classic” in nature writing, Carrier’s letters – collected in his first book – reveal the impact the region had on him over the course of Yellowstone’s four seasons. Whether hiking through grizzly country at night in search of medical help for a gravely ill colleague, or challenging the Grand Teton, Carrier’s adventures will convince you that he was hardly a dispassionate correspondent. His letters demonstrate that the value of places such as Yellowstone may lie in the ways they transform all of us into more conscientious defender of the wild. The book is available as a $10 paperback or $2.99 ebook from Amazon. Click here to order. This entry was posted in Uncategorized on November 23, 2018 by jimcarrier.